My first thought was “geez, I dunno I just want to write”. I had a direction I thought I was going to take when I started this blog in February but, while my journey to discovering my passions and purpose is still happening, I have also filled my space with other personal insights that really have no context inside of said journey. But, is that really a bad thing since essentially what makes me me shapes the path I am taking? Gain consistency in the frequency of my posts. Three a week, minimum. This goals aims to put me into the practice of writing and expanding my creativity. To actively pursue my passion for writing. And it keeps me moving forward with my journey – it can’t help but to do that if I am to write about it consistently, right? Double my followers by the end of the year. Simply because it may give me greater exposure to like-minded passion and purpose seekers, in varying practices and stages of their journey. It also will help me to feel like what I find along my own path may matter or help others too. Spend an hour every day reading and commenting my followed blogger’s sites, and checking out other’s sites as well. (I actually kind of do this already but I’m committing to it as a daily ritual). As far as honing in on one particular thread of thought as a branding technique…well this is a personal blog with a ‘journal’ writing undertone. Right now I don’t think I want to change that simply because I want more followers. I write what I like and I like what I write. So consistency is really the key element to my listed goals, and that’s just peachy with me. I’m looking for my footing in life and putting it all out there for the big, beautiful world to see. I don’t know if that’s thousands of followers worthy, but I’ll keep writing either way. You too! It will be so worth it, don’t you think? I’ve been following your plight, helpless feeling for you because I do not know how to make it better. What made you go self hosted? Ah ha. Well, I am so so sorry you lost them. I hope they find you again though! Thank you ! Me too !!! I’ve only been writing my blog since Marc,h and I thought I had a dynamite idea, but now I find that I’m changing my approach. Things evolve. A goal of connecting to the community is a great goal. The community here is one of the greatest, most positive, supportive group that I’ve been part of. And, reading and commenting on other blogs is one of my greatest past times. I wish I had more time to devote to it. I totally agree with you about the community. If I was Oprah naming off ‘my favorite things’ I would definitely say WordPress. This is the best community ever and I am like you, I wish I could spend hours here everyday (today, it HAS been hours, but I can only get this kind of time on rare-very rare-occasions). I really enjoyed your blog and empathize with the flailing, aren’t we all? I can’t wait to have read through the rest of your blog and good luck hitting your goals. Thank you so, so much! So glad you’re with me! I’m still using a freebie theme at the moment, but one day I will choose one and purchase it! I just want to say I love the way your blog looks. I’m excited to start following you. Blessings. Thank you! Same here, I am following you too. So glad to meet you! Great post and I think those three goals are great. I can’t wait to hear about the progress of each of them through the remainder of the year. In fact, it really makes me stop and think I should set a couple of goals myself for the remainder of the year around blogging as I do struggle in that area. I know I would do much better working towards something and making it more of a habit as I have done with other things. Keep up the good work and thanks for the inspiration this morning! 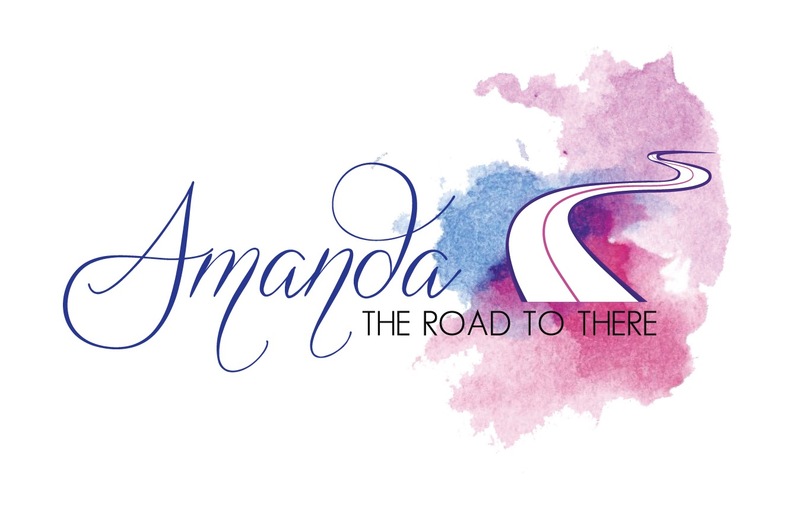 I am loving your “Road to There” logo on the sidebar and wondered if having it as the header would make the page look too busy? Ah-ha! I knew there was a good reason. Hey you actually voiced out my thoughts! Themes can be so confusing at times. I have tried so many and nothing until now was perfect. However I found one that is really making me happy. I am looking forward to such interesting posts by you :). Also, it would be great if you could stick around my page and tell me what you think about my page. I could do great with your suggestions :). I like your theme, Amanda, and your goals. Can you tell me the name of your theme and where you got it? WordPress?